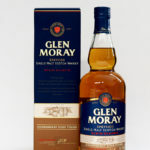 This entry was posted in Blog, Whisky Tastings and Events News and tagged Aberlour, An Cnoc, bacon, BenRiach, Benromach, Clynelish, Cragganmore, Dufftown, Glen Elgin, Haggis, Singleton, Spirit of Speyside Whisky festival on 20 May 2012 by Mike. During the Spirit of Speyside Whisky Festival this year we ran a cafe & bar at the venue for our tastings. Not only did this serve much needed sustenance to festival guests but also helped us continue our experiments with food and whisky pairings. We looked at bacon rolls with 4 whiskies and Haggis with a different 4 whiskies. Guests were treated to the way the whisky and food combinations change the flavours of both, emphasising some flavours in the food and the whisky and also creating new ones! We were delighted by the number of people who chose to take part and the fabulously positive response to our whisky and food tastings. Some guests had not done this kind of thing before and where blown away by the whisky and food experience. Brave breakfast festival guests were asked to sample a bacon roll with 4 different whiskies and faced with the challenge of choosing their favourite. The whiskies chosen by Mike Lord were all distillery bottlings: Cragganmore 12, Glen Elgin 12, Singleton of Dufftown 12 and Benromach 10. The bacon was unsmoked and guests were asked not add sauce Ã¢â‚¬â€œ this is serious stuff. The clear winner was Cragganmore 12. This was a treat for those that tried the tasting and a great way to start the festival day. During the lunch time period we switched our attention to Haggis, Neeps and Tatties. (For those of you wondering neeps are swedes and tatties are potatoes.) The focus was on pairing the Haggis with Clynelish 14 (as suggested by the Classic Malts website), An Cnoc 12, Aberlour 16 and Benriach 10. Whisky and Haggis is a particularly good combination with the spices in the Haggis working well with the whiskies. Again there was a clear favourite Ã¢â‚¬â€œ Aberlour 16. With each whisky and food combination there was not one pairing that some people did not vote for as their favourite. This shows again that there are no hard and fast rules with whisky and the only way to find your favourite is to try it for yourself. We would like to thank the Dufftown Lodge and their wives and friends for running the cafe and serving spectacular food during the festival. Particular thanks go to Yvonne Smart whose help, cooking and good humour were the backbone of the cafe operation. This entry was posted in Uncategorized and tagged Benromach, Dufftown, Nosing, Tasting on 2 September 2009 by Mike. Dufftown 2000 hold a Nosing and Tasting Programme every summer. Mike Patterson will take you through a selection of the whiskies available from Benromach Distillery.